Our Guest Bed Room is spacious and comfortably furnished with family heirlooms and pieces collected by us over the years. 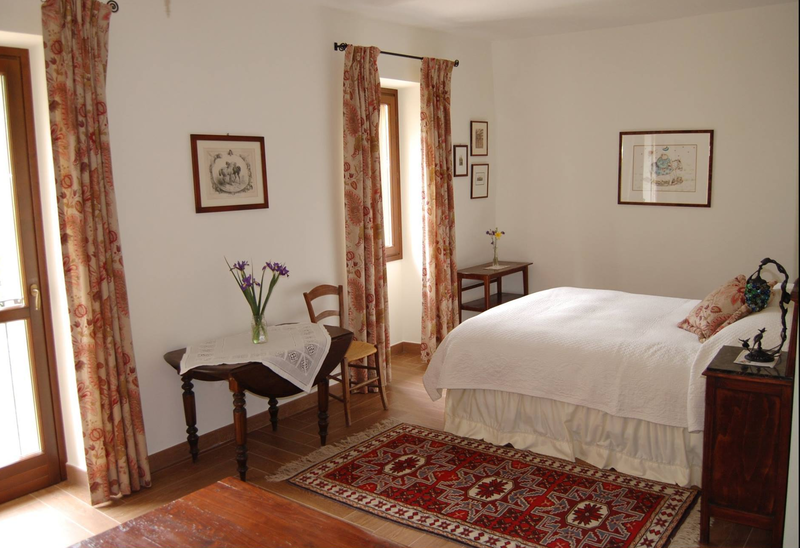 The room has two large windows, overlooking our garden, through which you can welcome the first rays of the sun in the morning or when the timing is right a beautiful full moon. The bathroom, with its large shower, has all the amenities. There is also a sitting area, within the room, which has a small library of books, radio/CD player and free wi-fi for your use. 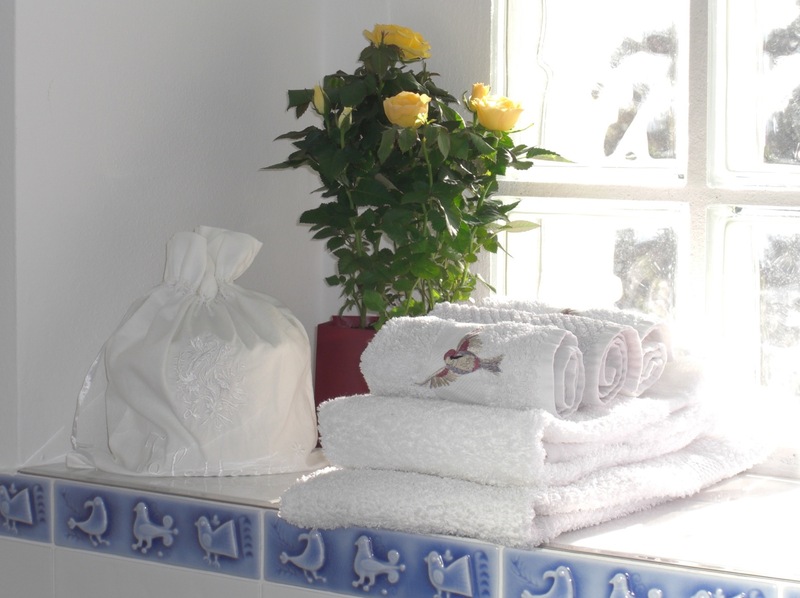 An overnight stay for two people is €90; for one person the price is € 80 per day. A third bed added to the room will cost an additional €30. A baby bed can be supplied free of charge. Our generous breakfast, prepared with organically grown ingredients, is included in the price. Special rates can be arranged for longer stays.